Discussion in 'Misc. Films' started by KAZUYA, Feb 13, 2005. It got awesome reviews, but it bombed big time at the box office. The trailer for this movie looks amazing. <---Dumbazz I did not think to look for trailer , that looks amazing the cgi looks good and its in daylight! 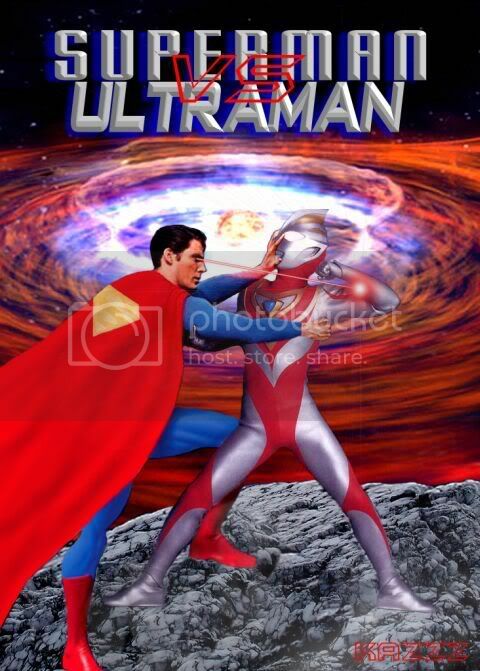 I'm a sucker for Ultraman...I grew up watching the old tv shows when Ultraman was assless and had a pillow stuffed in his chest. The original "teh puffy". I'll be looking out for this movie. Of course. It looks DUMB. As good an argument as "this looks so stupid." will this be out on video? I never thought I'd see the day when an Ultraman movie outdid a Godzilla movie, but I'll bet this flick is better than Godzilla: Final Wars. Glad to see you're proud of yourself on that achievement. nice artwok btw what does "teh puffy" mean?